As well as selling UV Systems, KK Water also supplies Water Filters for use on their own or as a pre-filtration prior to the water being passed through the UV systems and sometimes as a post filter as this is a very good way of cleansing the water further. 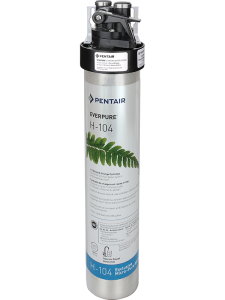 Filtration is the only one of the three water purification methods that is capable of removing chlorine, chlorine byproducts, and Volatile Organic Chemicals (VOCs) from drinking water. Water filters also remove from drinking water the chlorine-resistant protozoa giardia and cryptosporidium. These protozoa have caused a number of epidemics of severe gastrointestinal disease, contracted through drinking contaminated water. Water filters are an economical way of treating your water for TSS, VOCs and chlorine and chlorine byproducts, and by comparison with Reverse Osmosis and distillation wastes very little water in the process. Here at KK we offer a range of water filters, from small domestic units through to the stainless steel heavy duty industrial ones.We also supply a variety of cartridges and filter bags to suit your requirements all at different micron density to ensure the most efficient and effective way to trap the particles in the water. If you are unsure of what you need please do not hesitate to contact us and one of our members of staff will be able to advise you on the best solution for your needs. 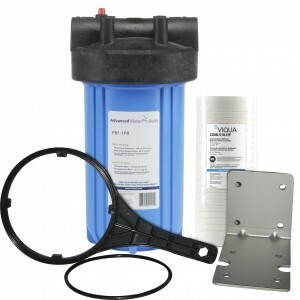 We can supply complete filter units or spare parts and cartridges for your existing unit. Please call us on 01932 852423 or email sales@kkwater.com. As independent distributors for a range of water filters we are able to offer you the most suitable cost effective option for your domestic or commercial needs. If you would like any more information please contact us on 01932 852 423 or email sales@kkwater.com.